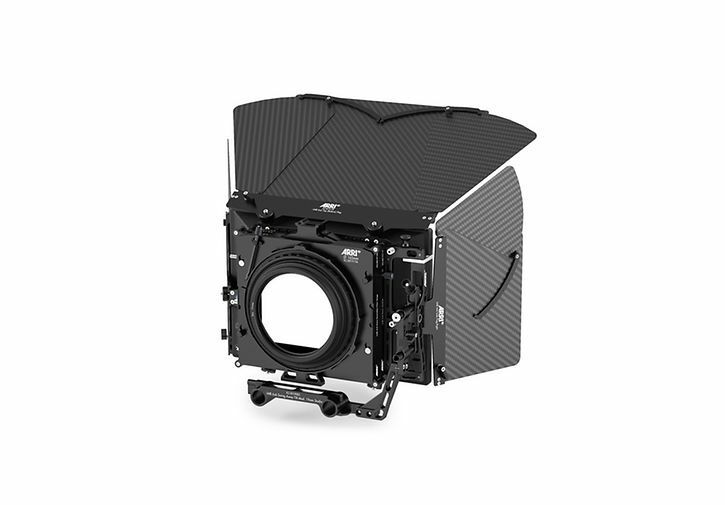 The ARRI LMB 6×6 Matte Box is a larger, studio-only version of the LMB 4×5. Its modular design allows for use as either a lightweight clip-on or rodded studio box. Like the LMB 4×5, the LMB 6×6 is a native 2-stage vertical pull box with additional third stage. In studio mode, the matte box interfaces with lenses up to 162mm Front diameter (such as the Angenieux Ultra 12x). The studio swing-away module can easily be removed for use as a lightweight clip-on matte box.